My husband. Y'all, this guy is amazing. He is so goofy and funny and loving. I love him so much, but I also feel his love for me each and every day. I am so grateful for him and his family to be a part of my life. I am so happy to get to be a part of his. He can always make me smile and even when we argue and it's the worst, I know we'll be stronger in the other side. I complain about everything, like when he won't take pictures with me. But honestly, he's definitely the best. My family. I have an amazing family. There are so many people who don't get along with their families or are estranged and haven't talked in years. I cannot imagine that kind of life. I have always been so close with my parents and sisters, niece and nephews, aunts, uncles and cousins. I have a wonderful family that never fails to make me feel loved and I don't know what I'd do without them! My home. We've lived in tiny apartments. We've had roommates. We've had a full-size home. Regardless of where we're living, I am thankful for our home and all the meaningful or pointless stuff inside, because it's our's together and we have somewhere to lay our heads each night. I always want to go somewhere (out to eat, shopping, traveling), but truly I love this home of ours and our furbaby inside. We are lucky. My job and its benefits. I complain about work. A lot. But truly, I get to help people achieve their dreams of going back to college and pursuing their degree and that is so rewarding. I absolutely love working in the field I do and the university I work for. As the cherry on top, I'm provided with wonderful benefits, like the insurance that helps me manage my diabetes, and the sick days and vacation time I can use for fun, for doctor appointments, or even for time away to help out my parents, if needed. I even get to go back to school for free, and have (most) weekends off. I really can't ask for much more. My education. Not only did I graduate from high school third in class, but I earned my bachelors degree with no student debt, which is nearly impossible for most people to say. Now I'm getting to pursue my masters for free (see above). It's stressful more often than not, and I ask myself all the time what I was thinking. I may have lost a ton of free time but I'm gaining knowledge and no one can take that from me. Books. And my ability to read them. I read everyday. It's a simple thing that gives me pleasure, and I never even think about the fact that I'm reading stories off a page and there are others that can't do that, and just thinking about it can really change perspective. Having enough food to complain about being "too full". I eat too much. All the time. And then I complain about it. Do I even need to explain why I'm thankful here? 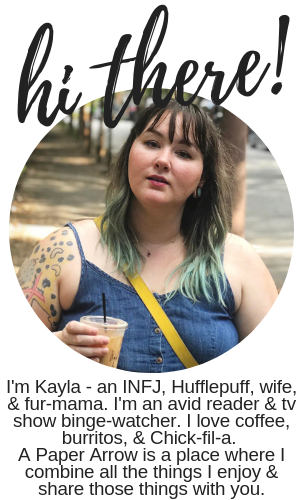 Plus, the Internet, smart phones, streaming services, coffee, burritos, Chick-fil-A, cats of the world, wax melts, music. And so much more. There are so many things I am able to do and have because of the life I live and while I try to be thankful each and every day, it is always so easy to just take the wonderful things in life for granted. Sometimes I am truly in awe of the things I have, the things I feel, and the beauty that's all around me. I hope you are showing your thankfulness this holiday season and throughout the year. I think we can all be a little more appreciative each day. 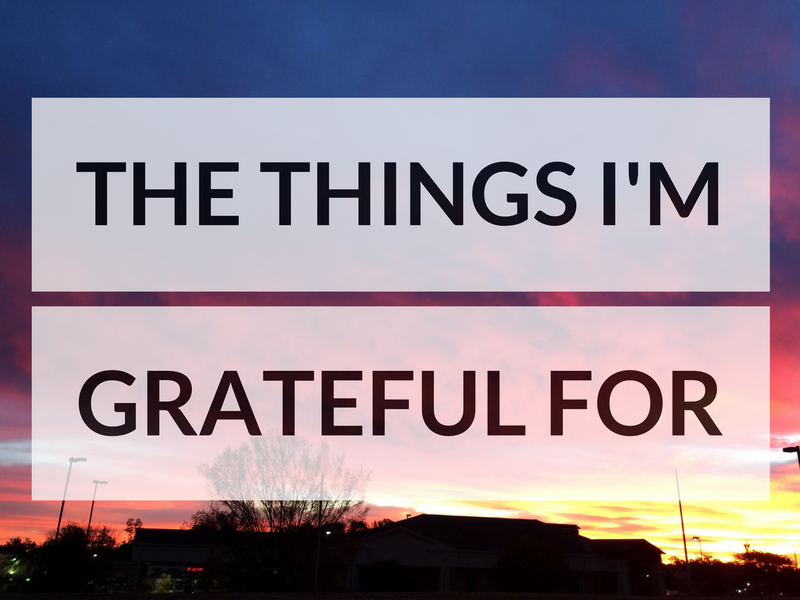 What are some of the things you appreciate and feel gratefulness towards? Oh food, got to love it. I've never even thought to be grateful for food but I so am. I take it for granted really. Also, so awesome that you can get a fantastic education with no student debt. I'm in the student loan struggle as we speak, its the worst! There's so much I take for granted that I don't even realize is something to be grateful for!